I really enjoy working on commissions. They take me out of my comfort zone a little as far as colour and subject matter are concerned……which is great as i learn from the experience. 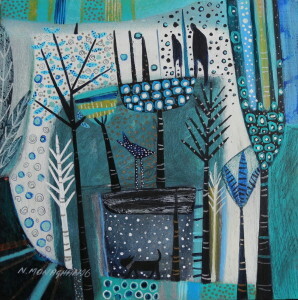 It is also of course lovely getting feedback and knowing that my paintings really resonate with someone. 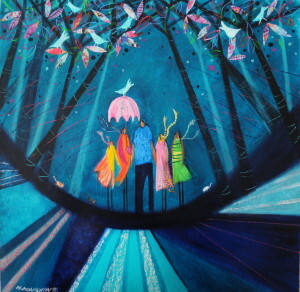 Here’s a few i’ve done lately….. Heading off to the Green Galley! Very pleased with the framing…always finishes a painting off nicely! 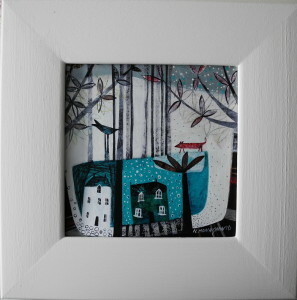 They are painted in yummy Farrow and Ball…..and will be heading off to the www.greengallery.com next week! 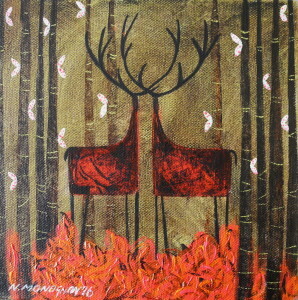 Acrylic and oil pastel on board 20x20cm. This may be the start of another ‘blue phase’! 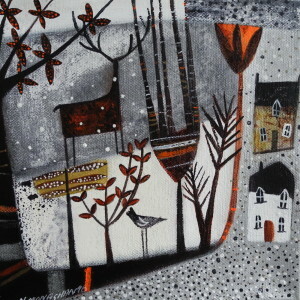 ‘Blossom Stroll’ which sold at the www.thelineonline.co.uk over the weekend. I’ve been exhibiting with the Line Gallery in Linlithgow for a number of years now and I’m delighted to be showing my work alongside Siljes Elisabet Thorin. Quite liking this ‘blogging’ thing! 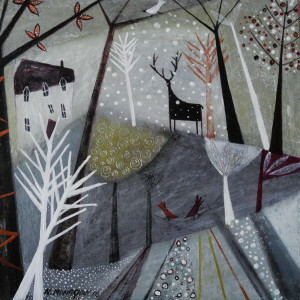 Here’s one all framed up..27x27cm frame. 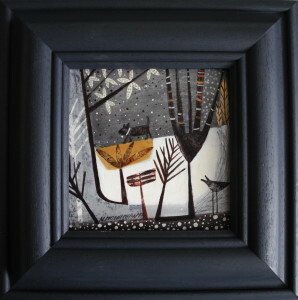 Frame painted in Farrow and Ball…lovely! 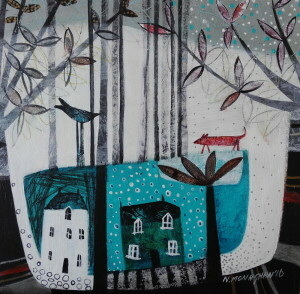 I’m planning on having a mixture of large and smaller works, along with prints, cushions, cards etc. It’s always been an enjoyable experience, meeting the public, chatting about my artwork…although a tad stressful leading up to the event. Apart from all the artwork to organise my house has to be unusually spick and span..all Peppa Pig toys, footballs, dolls and empty wine bottles will be removed! My new favourite colour…feels like summer is just round the corner! Excited to have a new website and a blog! 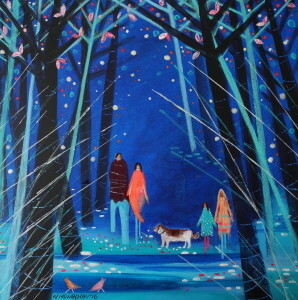 I’ve been working on larger paintings for the Green Gallery in Bucklyvie….hand in is in the next couple of weeks :-/. In between the usual family chaos and and my other job as a taxi driver for my kids I hide in my studio hoping not to be disturbed! 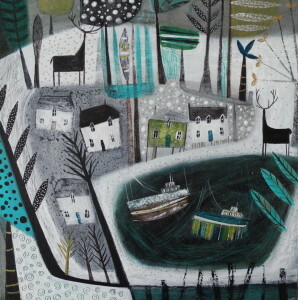 This painting was finished yesterday……sunny then too…hence the palette! 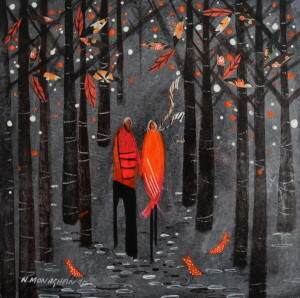 New paintings, art prints and lots more! !